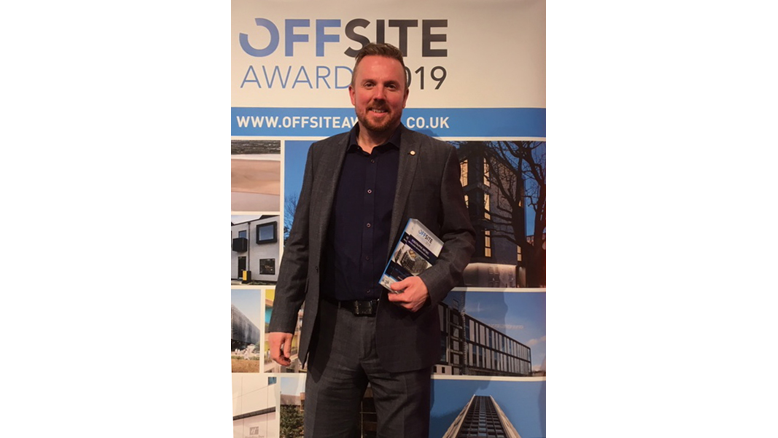 voestalpine Metsec has won the BIM/Digital Construction Award at the Offsite Construction Awards ceremony, held at Futurebuild 2019 at Excel, London. The prestigious award not only underlines Metsec’s commitment to Building Information Modelling but also reinforces the company’s position as one of the leading exponents in the digitisation of construction. Metsec was one of the first companies to recognise the significance of digitisation and the many benefits that it can bring, including improvements in collaboration, design time, manufacturing time and accuracy, all of which adds up to greater efficiency and enhanced customer satisfaction. From the outset, the company undertook a programme of focused investment in the key technologies as well as the systems necessary to delivering these benefits, including staff training, updating processes, cultural change and digitisation of the product. The results have been impressive; Metsec is the first Tier 2 Designer and Manufacturer, complying with BIM Level 2 for design and construction in the UK and the first manufacturing company to receive the BSI Kitemark for BIM. Uniquely, the company has also secured ISO 27001 status, enabling its BIM models to be encrypted for sensitive government projects. The award was received by Metsec’s south-east regional sales manager, Steve Clark, who commented, “It’s great to have our efforts recognised by the industry. This award is the culmination of many years of investment by Metsec and the commitment of staff in driving standards forward. Building Specifier is an information portal for all professional building specifiers. We bring you the latest construction news from around the UK and the rest of the world. We also present you with information on a wide range of products for all varieties of building projects. © 2018 - Building Specifier. All Rights Reserved.